SonyLIV is not sitting on laurels of the record 70 million viewership for the FIFA World Cup 2018. The Sony Pictures Network’s OTT platform SonyLIV has now shifted its focus to the 18th Asian Games 2018. Hotstar had reported over 200 million viewers for the Indian Premier League 2018 live streaming. However, the SonyLIV audience data for the FIFA World Cup 2018 is something unprecedented for any non-cricket sport in India. The 18th Asian Games in Jakarta and Palembang are slated from August 18 to September 2. India-England cricket series audience in the meantime is bridging the month-long gap for the Sony Sports Cluster and SonyLIV by upscaling the high viewership between the FIFA World Cup final and the Asian Games. Cricket sells more than any other sport in this country, but “non-cricket sporting properties have seen an uptake in terms of viewership and brands interest,” asserts Sodhi. “FIFA 2018 has been a huge success for SonyLIV. Over 70 million users is a clear indicator of our leadership position in giving our viewers a seamless football streaming experience. Our brand partnerships coupled with our tech alliances aided us in achieving this. Live Sports will continue to be one of our key focus areas and will continue to fuel engagement and loyalty on SonyLIV,” he added. Expectedly, the traditional football centre of India, Kolkata accounted for the maximum FIFA World Cup 2018 content consumption on SonyLIV, followed by Kochi, Pune, Ahmedabad, Mumbai, Chennai, Lucknow and New Delhi. 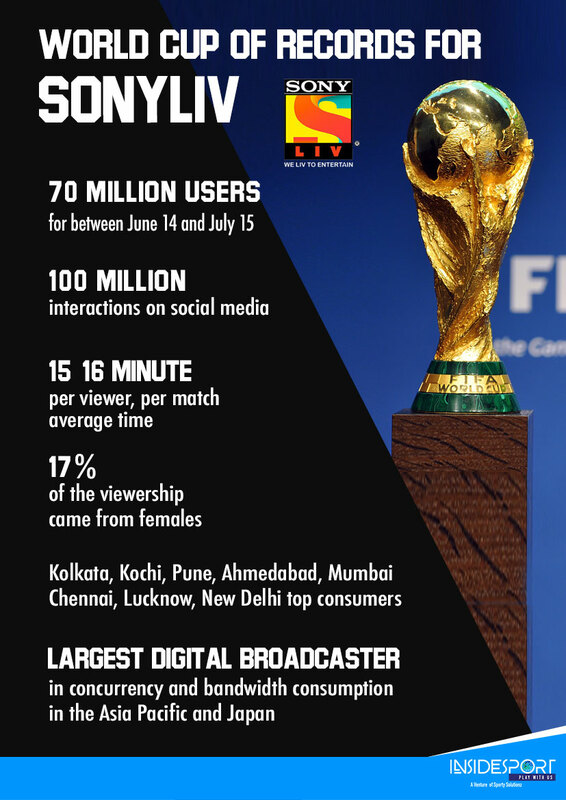 There were 17% female viewers among the 70 million audiences, who watched the World Cup live on SonyLIV. There have been more than 100 million social media interactions. Akamai, the US-based leading content delivery network (CDN) services provider for media and software delivery and cloud security solutions, has claimed that SonyLIV was the largest digital broadcaster in terms of concurrency and bandwidth consumption in the Asia Pacific and Japan region on the Akamai Platform. SonyLIV’s World Cup campaign #ScreamLoud has also claimed a massive traction and response on various social media platforms. It was among the top 5 most viewed FIFA World Cup campaigns worldwide on the YouTube digital channel. World Cup has been a major commercial success for the Sony TV Sports Cluster and SonyLIV. 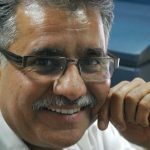 Some of the top-notch brand and corporates like Uber, Patanjali, Swiggy, VIP, Apple, Red Bull, Vodafone, Carlsberg and Dell etc were among the 20 sponsors on SonyLIV as the Sony Pictures Network India had “conveniently achieved” its ₹250 crore ad sales target for the FIFA World Cup 2018 of which ₹50 crore came from SonyLIV. SonyLIV had streamed the FIFA World Cup 2018 in six different languages – English, Hindi, Tamil, Telugu, Malayalam and Bangla. The SonyLIV subscribers could catch the live action on the SonyLIV website and SonyLIV. There was a separate feed for the others with a five-minute delay. World Cup has set high standards. 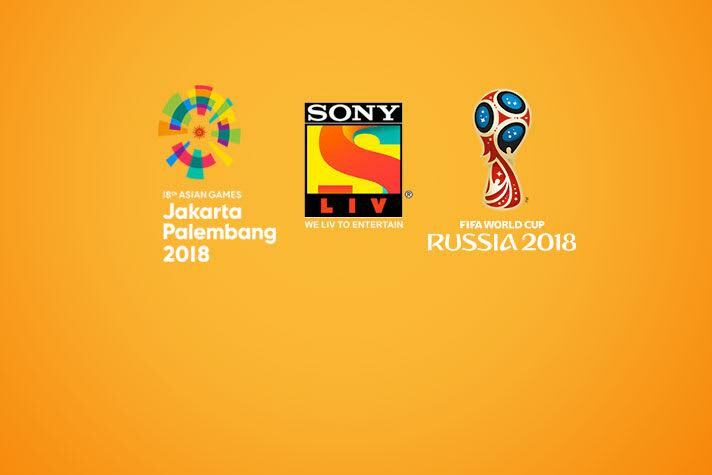 Asian Games will also be a real test of Sony’s non-cricket content strategy.